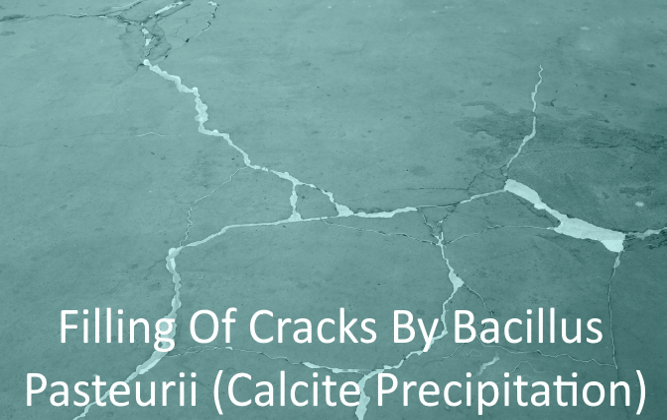 Bacillus Pasteurii also known as sporosarciana Pasturii from older taxonomies is a bacterium with the ability to precipitate calcium and solidify sand given a calcium source and urea through the process of microbiologically induced calcite precipitate or biological cementation. We isolated calcifying bacteria BP from the alkaline soil cow farm (urine) soil trained and mutate from for pH-12 in tropical condition in Vastu Vihar Research Team. This microbe has the ability to excrete a form of cementatious material which help to heal the concrete when it creates and it also helps in minimization hence it is also called as self healing concrete.we also tried to induce gene which secrete large amount of calcium carbonate at high pH. In addition to the admixture consisting of Sporosarcina Pasteurii bacteria affected neither the slump nor the initial setting time of concrete. Life span of the bacteria is about 200 years and can survive at adverse temperature and pressure. This process called MICP(Microbiological Induced Calcite Precipitation). It has a self-healing property when it is used as admixture. 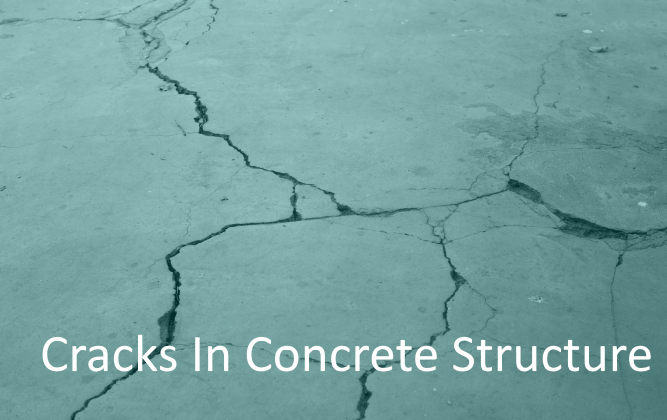 It repair cracks and provide strength to the concrete structure. It fills most of the pores by precipitation of calcite which makes the concrete less porous. By filling voids it increases strength upto 30%. It also decreases initial and final setting time of cement. It decreases the permeability of concrete by pore filling. It also decreases the cement quantity and increases the durability of structure. For RCC, it prevent corrosion by surface decomposition of CaCO3 by Bacillus Pasteurii. Welded Wire Girder is one of the most prominent method to meet the need for a unique shear connector adequate to properly transfer or distribute loads between panels and it prevents undesirable energy transfer by eliminating solid concrete sections in the entire panel - no high stress points, no major thermal areas, no cold spots, no wet areas - and a more efficient and cost-effective insulated wall panel. Most importantly, Welded Wire Girder not only connects the concrete widths through the insulation material, but has the resiliency to expand and contract with the independent thermal-induced movements of the outer width. We make walls using rattrap bond walling technique, Rat trap bond is a brick masonry method of wall construction, in which bricks are placed in vertical position instead of conventional horizontal position and thus creating a cavity (hollow space) within the wall. The rat-trap bond is laid by placing the bricks on their sides have a cavity of (80-100) mm, with alternate course of stretchers and headers. The headers and stretchers are staggered in subsequent layers to give more strength to the walls the main advantage of this bond is the economy in use of bricks, giving a wall of one brick thickness with fewer bricks than a solid bond. Strength is equal to the standard 230 mm. brick wall, but consumes 25% less bricks. The overall saving on cost of materials used for construction compared to the traditional 230 wall is about 26%. The air medium created between the brick layers helps in maintaining a good thermal comfort inside the building. This phenomenon is particularly helpful for the tropical climate of South Asian and other hot countries. The roof of the units is insulated with filler slabs by placing filler material in the tension zone. We uses pre-fabricated, leak-proof roofing panel for commercial, educational, and domestic buildings. The thick insulation considerably reduces the summer heat and the furore of the monsoon. These pre-fabricated roofing panels are designed to withstand the quirks of the nature and the vagaries of time. It effectively restricts the transmission of heat by 8-12 degree degrees, and also absorbs and reduces the noise of rain as well. These roofing panels are aesthetically designed, sound-proof and weather-resistent. Being corrosion-free, these panels require low maintenance and durable in nature, making them a cost-effective roofing solution. We are always trying to reduce the carbon footprint to the environment by providing units with environment friendly and non- polluting energy sources. The roof of this unit rotates during the day depending on the position of the sun thereby ensuring optimum supply of electricity throughout the day. We are using Solar roof lights in our units that are LED bulbs that powers using solar energy to light up the house. We are also providing Solar power water heater and blowers in our projects thats is used to heat up the rooms. Removal of volatile organic compounds generated during construction in the house has been developed by our experts. Our R & D team has achieved this break through system which harvests micro-organisms. The micro-organisms based sanitation system needs no periodic emptying of sanitation waste, and makes it ever usable.